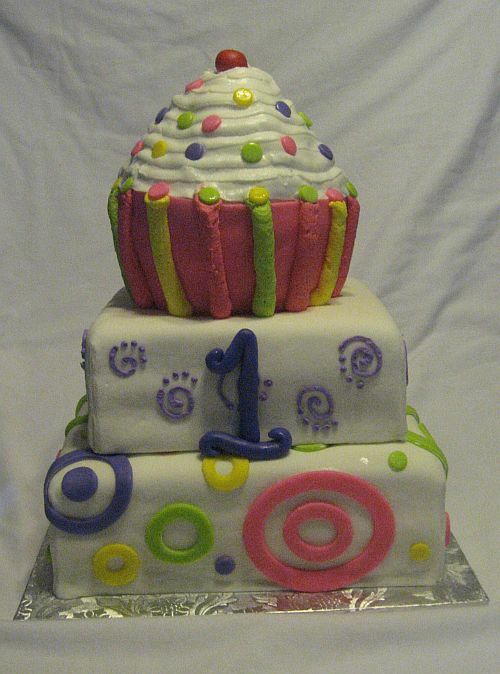 You are currently browsing the tag archive for the ‘Birthday Cupcakes’ tag. Baseball Cupcakes for 6 year old at Leib Elementary in Dover, PA! Baseball themed Cupcakes for a 6 year old Classroom Birthday Celebration at Leib Elementary in Dover, PA! These cupcakes were designed with Baseball in mind the exact theme was baseball superstar! With Blue and red. The blue is an aqua color making the baseballs stand out more as opposed to a traditional Red, white, and blue color scheme. 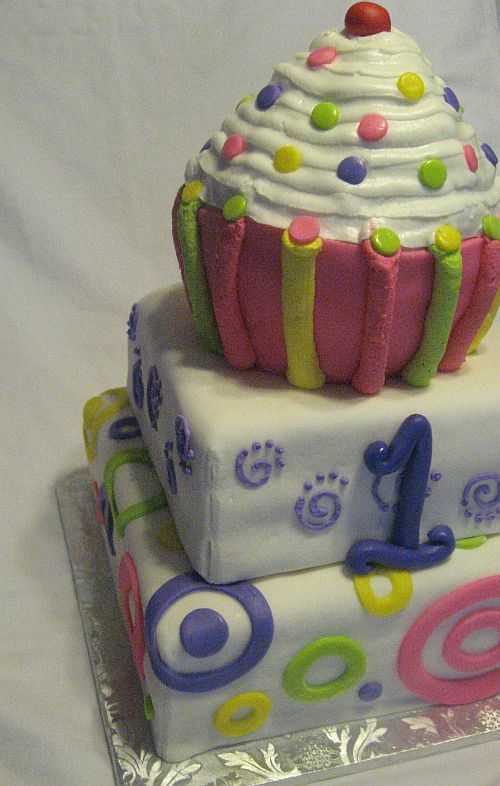 The baseballs are made out of fondant, marshmallow fondant. 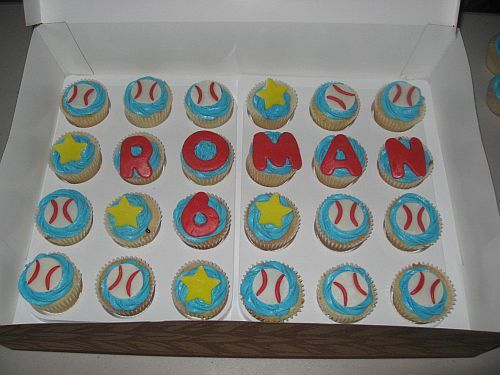 The red letters spell out “Roman” and the number “6” is because it is his 6th Birthday! The cupcakes themselves are a white cake with almond flavoring and Black Raspberry Filling! Topped with Buttercream Icing making them a super yummy treat! We will be posting pictures of the actual Birthday Cake and cupcakes we made for the party which is a Super Mario Bros. theme! !